William Scott Wilson’s translation is faithful to the original seventeenth-century Japanese text while being wonderfully clear and readable. His scholarship and insight into the deep meaning of this classic are evident in his introduction and notes to the text. 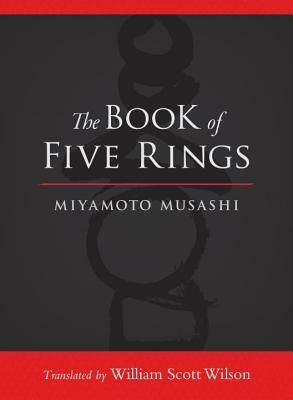 This edition also includes a translation of one of Musashi’s earlier writings, “The Way of Walking Alone,” and calligraphy by Japanese artist Shiro Tsujimura. Miyamoto Musashi, who lived in Japan in the 1600s, was an undefeated dueler, a masterless samurai, and an independent teacher. He spent the last decades of his life refining and teaching his military science.